Happy Sunday out there! Yesterday was a day filled with relaxation, plants, great company and Odense street food. MORNING. 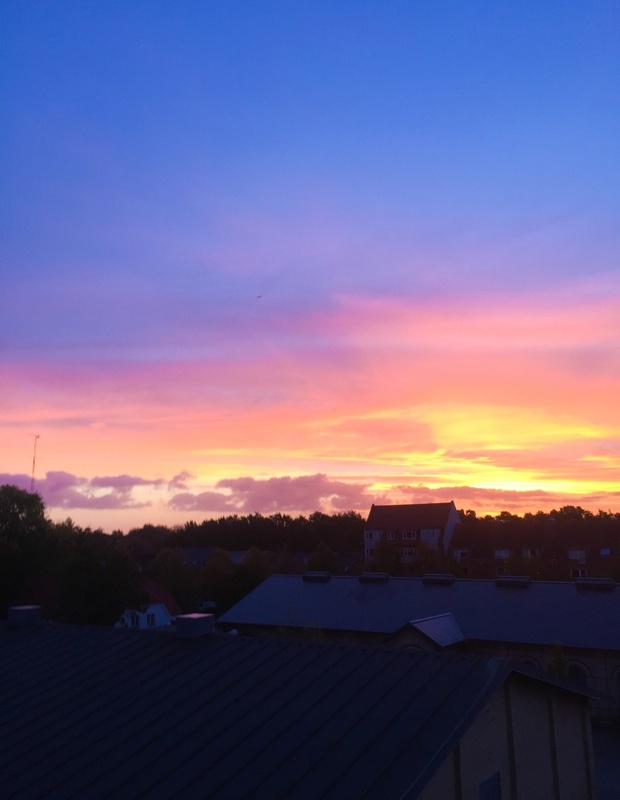 Yesterday morning started off with a beautiful sunrise #nofilter. I actually woke up, because I noticed the reddish light shining in through my window and had to take a peek out to see this beautiful sight. The rest of the morning was spend in front of the TV watching some Youtube and tv-shows, perfectly calm morning if you ask me. AFTERNOON. The afternoon came around and I was scrolling through Tradono (secondhand shop app), looking for a Pilea plant to buy. I found this one seller who lives really close to me, who was selling the plant I was looking for. 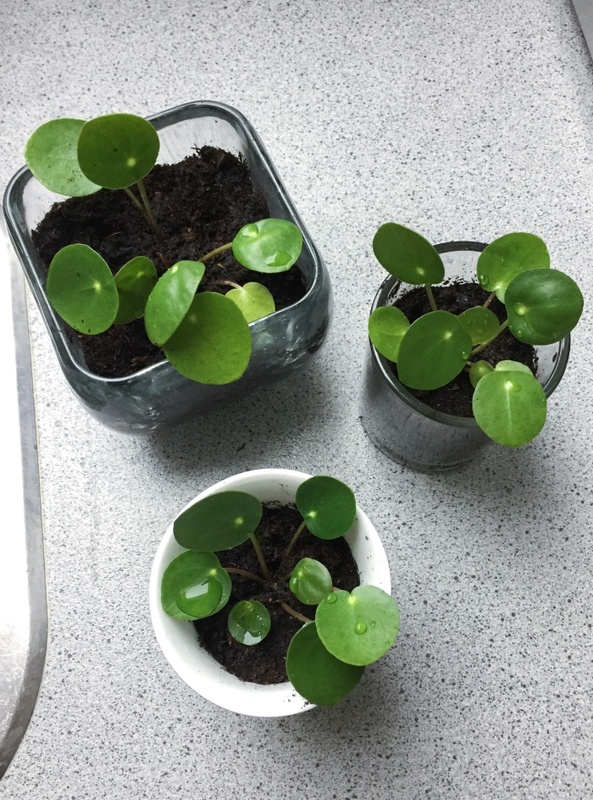 She ended up writing that she had three, I could pick up for free, so I went for a short walk over to pick them up and got these tiny little baby pilea plants. I planted them into soil right away and I'm excited to see them grow and get big and tall (hopefully)! EVENING. 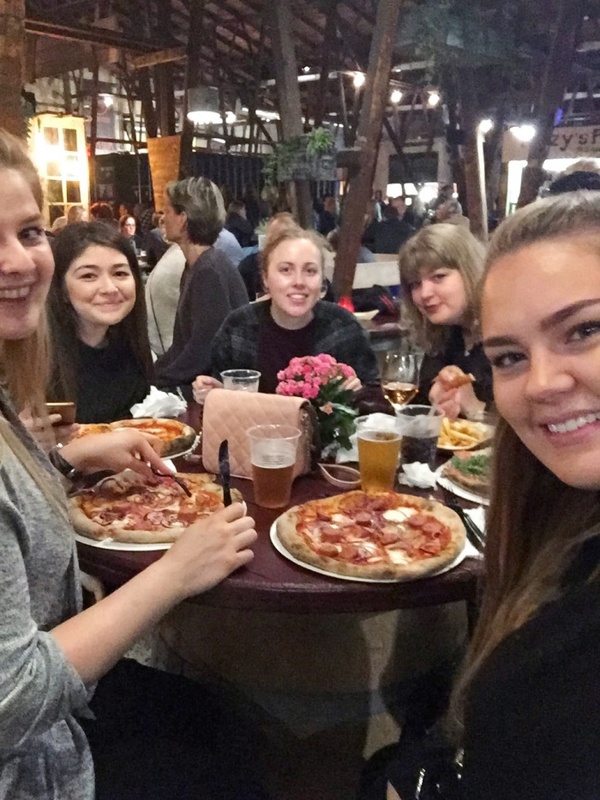 It was time for dinner and I rode my bike down to Storms Pakhus, to meet up with the girls I study with, share stories from interning life and eat some great street food. We went in, found a table where we could all sit at and ended up fiddling with the chairs for a while, because they were made of old beer kegs, not the most comfortable, but hey we figured it out. Most of us ordered pizza from Pizza Pazza, and some ordered Fish and Chips. The night continued and we ordered drinks, I ordered my favorite, a mango mojito. Good times! The evening ended at home, getting into my comfies, putting my hair up and taking my makeup off, before heading into bed.